A very old American apple thought to have originated in Dorchester, Massachusetts, but the true date of origin is unknown. The tree grows well, is very hardy, long-lived and once very popular in home orchards of New England. It is considered to be a fine cider apple as it has a high specific gravity. 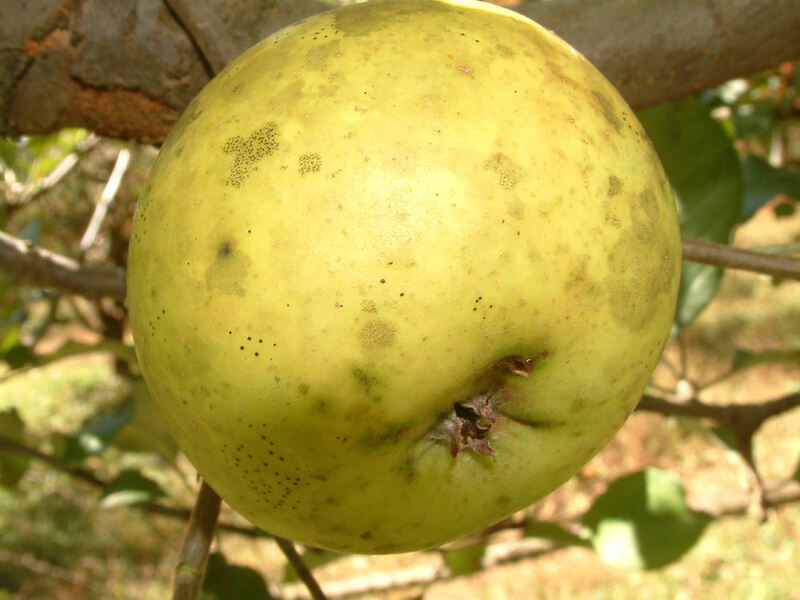 Fruit is medium-sized and round with yellowish-white skin often with a faint red blush and an occasional suture line down the fruit. The firm, fine-grained white flesh is juicy and sweet. Ripens late November to December.